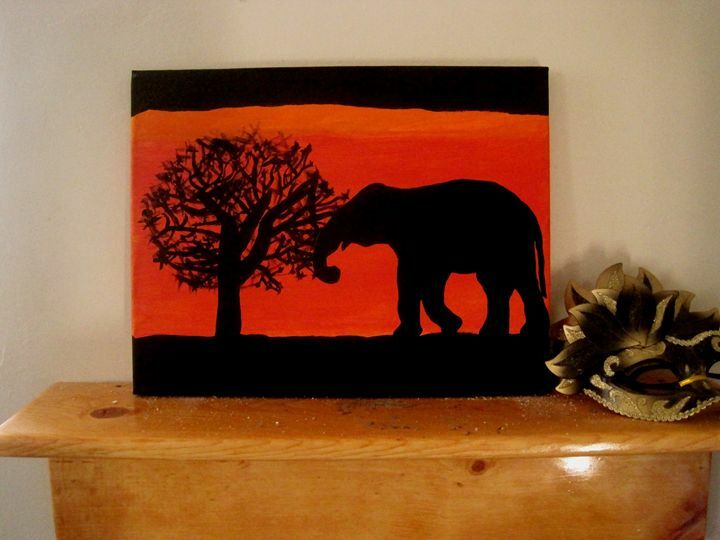 8x10 hand painted African elephant sunset. 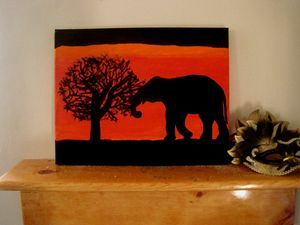 Painted with acrylic paints on stretched and primed canvas. Unsigned and unframed.